The church music of Liszt is the least known part of his works, though the "Gran Mass" and the "Coronation Mass" are occasionally performed in church or at concerts. The Requiem and the psalms - in comparison - lack popularity in so far that they are almost unknown. 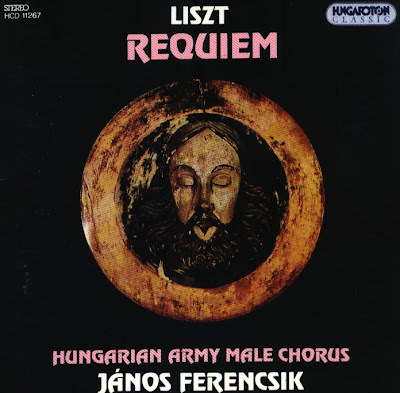 Liszt's Requiem was written for male chorus and organ. He adhered to one of the main trends in church music of the time; the movement was called "Celician" that should lead sacred music back to Gregorian chant and Palestrina's style. The work was composed in the late 60s of the 19th century. It is said that Liszt composed this Requiem in memory of his mother and children. The Compact Disc was released by Hungaroton Classics, 1994, (ADD). HCD 11267.